The Office of Enrollment Management again welcomes you to the Jaguar family. ETS Proficiency Profile assessment is mandatory for all undergraduate students. 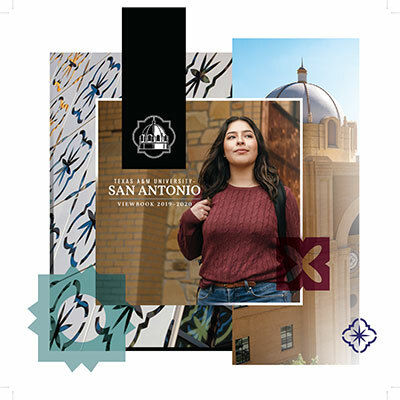 This initiative is essential to your success at Texas A&M University-San Antonio. Below you can find detailed instructions on how to access the online ETS Proficiency Profile. Please do not hesitate to contact the Office of Enrollment Management if you have any questions regarding the ETS Proficiency Profile. You may reach us at (210) 784-1300 or by email at welcomecenter@tamusa.tamus.edu. In order to access the student interface, you will need a computer that meets the requirements listed below. If you are uncertain as to whether your computer meets all of the above requirements, visit the ETS Proficiency Profile Login Page at http://proficiencyprofile.ets.org and click on the link to Run ETS Proficiency Profile System Check. If you encounter any problems, please contact ETS Technical Support by sending an email to: ProficiencyProfileSupport@testsys.com. You should receive a response within one (1) hour during normal business hours (Monday through Friday, 8 a.m. to 6 p.m. EST). If your e-mail is received outside of these hours, ETS will respond immediately the next business day. Due to default security settings in some browsers, some featuresand functionality may not perform as designed asn/or intended please use one of the following browsers for optimal performance: Google Chrome or Firefox Internet Explorer 5.5. This will open the window where the icon to access the test can be downloaded to your PC. In this window click Download ETS Proficiency Profile Browser again. When prompted, click Save and an icon will be downloaded to your desktop that reads “TAKE THE ETS PROFICIENCY PROFILE TEST NOW.”. When you are ready to begin the test, click on the TAKE THE ETS PROFICIENCY PROFILE TEST NOW icon on your desktop, and when prompted, click Run. Before starting your assessment, it is important to close all applications except Internet Explorer. Keep this page of instructions open to refer to while taking the assessment. You will not be able to access these instructions online once you have started the assessment. Please note: The ETS© Proficiency Profile is a timed assessment. If you do not complete the assessment in the designated time (40 minutes), a message box will display and the assessment will automatically be scored. Make sure you monitor the time remaining by checking the timer in the upper right corner of the screen. Please note: Close all open applications except Internet Explorer before accessing the site. Turn off or disable all pop-up blockers. If a pop-up blocker is on it will interfere with the “Help” button on the assessment. When you are ready to begin the test, click on the TAKE THE ETS PROFICIENCY PROFILE TEST NOW icon on your desktop. When prompted, click Run. If you are logging in for the first time, enter your e-mail address on the Login screen. Click on the radio button next to “No, I have not logged in before” and then click Submit. Complete your personal profile. In the white box asking for an ID number, please enter your K number. Click Start Online after completing the personal profile section. You will then be given the opportunity to complete a tutorial and sample assessment to better familiarize yourself with the format of the ETS Proficiency Profile. Click End once you have completed the sample assessment. Click OK on the dialog box that appears to confirm that you are finished with the sample assessment. Click Next to begin the assessment. Please note: Under no circumstances should the “Exit” button be clicked until you are ready to submit your assessment for scoring. Step 7 Click Exit once you have completed the assessment. Step 8 Click Logout to exit the administration window and conclude the assessment. You're all done!